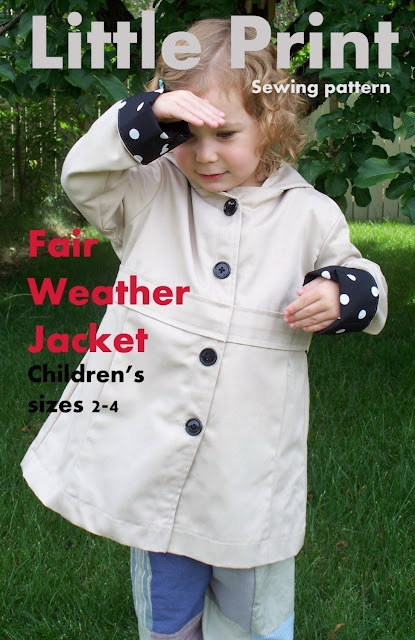 The Fair Weather Jacket in sizes 2-4 is now a PDF ePattern! You can pick up one at my shop or leave a comment here to enter to win a pdf copy. I will make a random number draw in the morning (November 12, 2010, approximately 10 AM MST). Hi all! As always, I am blown away by the response on the giveaways - you sure know how to make girl feel good. I have made a random draw (thank you random.org) and the winner is... Me! YAY! I was quite upset when I could not get a copy during your mega move and now that it is in PDF form, I shall be producing two of these lovelies for my girls! I can live with the 2-4 sizing for now as my almost-5-year-old still wears 3-year-old clothing and my just-passed-2 still wears 12-18 months! I will wait eargerly for the next sizing up though because I love the pattern and I can make the same thing over and over again in different fabrics! First round will most likely be a well-love Velux blanket we received for our wedding day 10 years ago and the kids have cuddled ad infinitum. Congratulations Me, I've already sent a copy of the pattern to your email. For everyone else, please visit my Sweetshop and take a gander at this Little Print Designs classic. I would LOVE to win this! So cute and can only imagine how lovely it would look on my little monkey! Oooh, I'd love that for my 2.5 year old! Here I am, choose me! I love it! I've been wanting try making a jacket... beautiful! Thanks for the giveaway! I love all your patterns that I have tried :) This one looks adorable. I love this jacket! Thanks for the chance to win! Okay, That is awesome. I would love to win that. I have a 2 yr old (whom I won't dwell on about her tinyness but MAN!) She has to be the reason I have learned to sew(again). She is soooo petite I could use this pattern over and over again. Thanks for the giveaway and all your inspirations. oh I would love to win!! I would love to try to make a jacket! Thanks for the chance to win it! this is so cute! I would love to win a a pattern! i would LOVE to win this so i can make it for my daughter and my friend's daughter ... it's been on my wish list for quite a while (tho, honestly, i was waiting for the bigger sizing to be done)! Oooh ! I could make one for my 3 year old and another one for my 17 month old! Just in time for going up north. I have a few (4!) munchkins that would all look pretty dang cute in that jacket... :) Thanks for having a giveaway for it! Adorable pattern. I would love to win this. I live in Florida and this would be a perfect "winter" jacket. This is such a cute jacket pattern and it would make an adorable jacket for my 2 year old girl! I love the coat. I would totally make this up for my son. Thanks for the giveaway! I would love this! It's so sweet! What a cute coat! I've been dying to try one of your patterns. This coat is adorable and there are so many cute fabrics to make it with! C'mon Number 31! Let this be my lucky day! Baby needs a new coat-- well, toddler needs a new coat. My 4 year old would love it. Great pattern! My kids are past this size range, but I have 2 nieces who would love one of these cute coats! Yay for the PDF pattern! I love this jacket! I would love to win this! I have been wanting to make my little girl a dressy jacket for church. This pattern would be perfect!!! I will be happy if I won a pdf-pattern. Oh I would so LOVE to make this pattern! I look at it every couple of weeks and dream =). I do plan on making this but for right now my lil girl is only 10 months old. I know a special little girl who could surely need this. Thank you! O wauw, a beautiful jacket, I would love to make it for my girl. 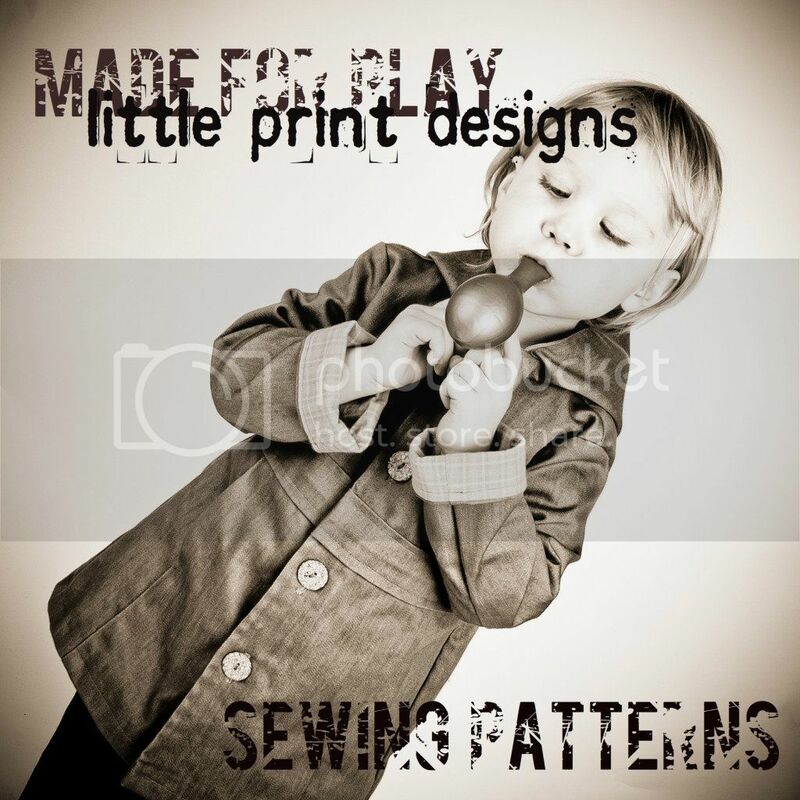 would love to make this for my little ones!! This is a great jacket. I would love this!! 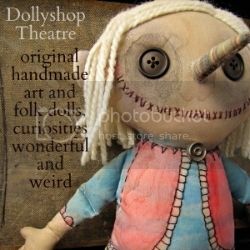 I would love to try and make this! But I have to be honest, clothes scare me. I've been meaning to attempt a jacket for a special little someone. Winning this pattern would be just the thing to whip me into action! It's very sweet, love it! I love it! I've been looking for a cute kids coat pattern. Pick me! What a cute model on the front. And I love the style of your coat. This is a lovely pattern! Thanks for the giveaway. I LOVE that. How nice of you to share. What a cute jacket! I love the contrasting polka dots! Oh, it's so sweet!! Some pretty oilcloth and a cotton lining and it would be a perfect spring jacket for my come-spring 3 year old. Love this pattern. Pick me, pick me! I hope I'm not too late! I would love to win this! Such a cute jacket pattern!! I'd love to win it and boy-ify it for my son! I just love your patterns. With four grand daughters 2.5 and under this would get a lot of use. Love it! Hope I am not too late to enter. My little girl would look adorable in that coat! I just made and LOVED your Willow trousers on Monday. It was such a fun, refreshing piece to sew in yummy soft corduroy that I'd worn & loved; I'm thrilled my daughter can wear a bit more use out of them. Great pattern. I'd love to give the jacket a try. Wow, would love to win one! Would look great on my daughter! Wow! That would be so so so so so so awesome to make that!! !